Bed bug interceptors can be more effective than visual inspections for determining the presence or absence of bed bugs. Because interceptors remove bed bugs, they also provide immediate relief to residents from bites as they catch the bed bugs. While identifying signs of heavy bed bug infestations can be fairly simple, low level infestations can be difficult to determine at times. The interceptors aid in determining whether bed bugs are successfully eliminated after a treatment has been completed. The interceptors are installed under legs of beds and in some cases, furniture. After installation, the bed or furniture is pulled away from the wall to prevent bed bugs from accessing the bed or furniture by means of walls, floor or curtains. Through normal dispersal, bed bugs crawl into the interceptor and are trapped. Bed bugs attempting to enter the furniture fall into the space between the two plastic bowls where they are not able to escape because of the bowl’s hard, smooth surface. 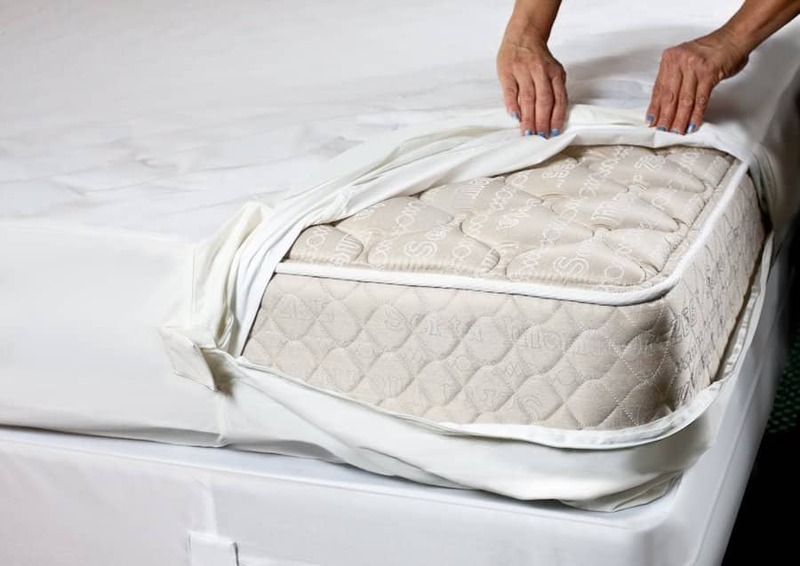 It is best explained to people “to make your bed an island”, which means nothing touches the floor or walls and then the placement of the interceptors will greatly minimize the chance of bed bugs entering the bed. At Michigan Bed Bug Specialists, LLC we offer free, quality interceptors for the beds (where applicable), to customers who get a heat treatment. We also offer the interceptors for an affordable price to customers interested in monitoring and preventing a possible infestation.